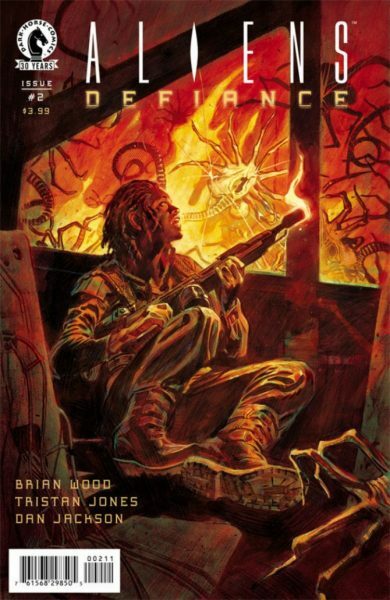 Longtime comic book writer Brian Wood (Star Wars, DMZ) entered into the “Aliens” universe with the 2016 miniseries Aliens: Defiance with Dark Horse Comics. 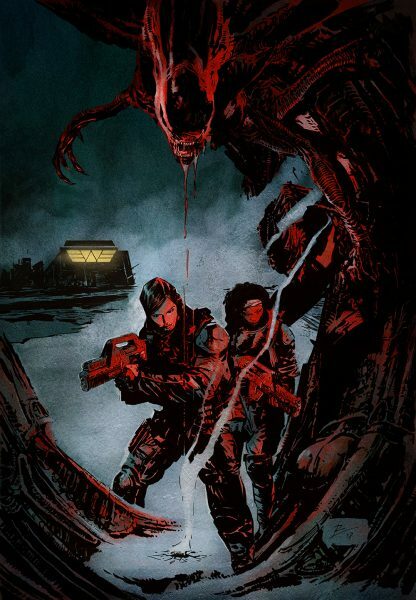 Following positive fan and critical reaction, Wood is returning to the world of Aliens to pen a follow-up miniseries for Dark Horse called Aliens: Resistance. The news was released at New York Comic Con 2018. Like with Aliens: Defiance, the new series Aliens: Resistance will center on Amanda Ripley, the adult daughter of Ellen Ripley (played by Sigourney Weaver in the movies). Both comic series descend from the video game Aliens: Isolation, which introduced Amanda Ripley and her quest to find her missing mother. In Aliens: Resistance, Amanda will team up with Zula Hendricks, a former Colonial Marine who also appeared in the previous Aliens series, to uncover secrets that the nefarious Weyland-Yutani Corporation is hiding about bio-weapons and xenomorphs. Joining Wood on Aliens: Resistance will be illustrator Robert Carey (Transformers, Power Rangers). Dan Jackson (Buffy the Vampire Slayer) is the colorists and letters are done by Nate Piekos (Black Hammer). The main covers will be by Roberto De La Torre (Ms. Marvel) and variant covers are by Tristan Jones (Aliens: Defiance). The miniseries will run for four issues. Aliens: Resistance #1 will be released on January 23, 2019.